Absorb the material included in this volume and you will play chess at a fairly high level. Or read through it all and enjoy Fred's masterful explanations. In either case, you will be entranced by his enthusiasm for the intricate relationships the pieces experience in the context of a game or even a standout plan or combination. 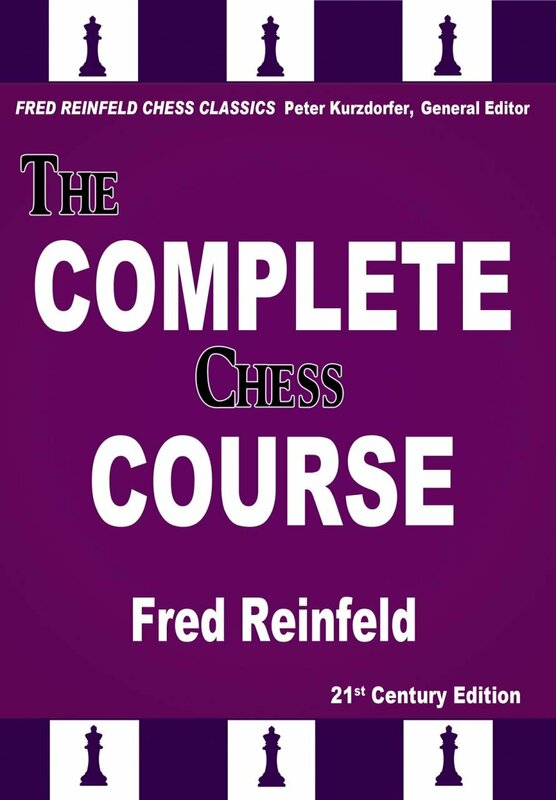 Generations of chess players have grown up on Fred Reinfeld's books. He has a way of reducing the most intricate, complicated combinations to their basic components. After Reinfeld explains a combination, it makes sense. The Complete Chess Course is filled with advice on how to play better chess, regardless of how strong or weak a player you may be. It begins with the most fundamental ideas, reviewing the basic moves of the pieces and pawns, and continues with fantastic examples from the very best players. We are taken through a full course of chess strategy and tactics; he introduces us to the nine bad moves and how to refute them as well as how to avoid making them. We learn how to handle the white pieces and how to fight back with the black pieces. We get a much-needed lesson on how to win the game when we have gained a big advantage, and another, equally important lesson on how to put up the stiffest resistance when in an inferior position. We get treated to a full spectrum of the many ways to make the most of whatever position we get in one of the best chapters of any book I've seen: Book Six on How to Fight Back. Fred guides us through some master games, revealing the secrets of their struggles to overcome strong resistance. These secrets include how to meet the crisis; how to simplify; and the point of no return. Finally, we are treated to an introduction to the major openings, including what to strive for in gambits, classical structures, hypermodern structures, as well as off beat lines. Hint: play to control the center and develop your pieces. Absorb the material included in this volume and you will play chess at a fairly high level. Or read through it all and enjoy Fred's masterful explanations. In either case, you will be entranced by his enthusiasm for the intricate relationships the pieces experience in the context of a game or even a standout plan or combination."